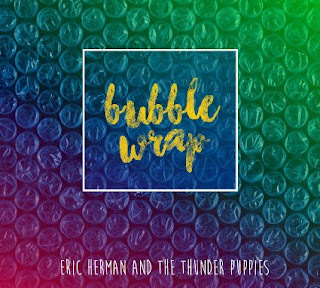 Everyday items and situations brought to music in the most delightful way is what Bubble Wrap by Eric Herman and The Thunder Puppies is all about. Even the cover art screams fun - I just want to pop those air bubbles!! Songs like Phone which is all about parents being busy on the phone, it is catchy, convicting and oh so truthful! My favorite song on that album is I wanna Be That Guy - it is a great song about being the type of person we all want to be. Dependable, kind, a stand up guy. I hope that song inspires our youth like it does me - being an all boy-mom this really spoke to me! Lastly, I have to mention Take A Bath - what a fun song. It brings images of a stinky kid who played hard and had a great day and needs to wash it off to start fresh the next day. I've even included a video of it at the end of this post. This album has two sides, it is has a bunch of songs that kids will relate to and enjoy but it has a tender side that parents will love to. Okay is one of the best songs, written as a child singing to their parent is just touched me. It reminds us that while the days are long we are doing something magical here as parents and that kids just get it, the get the love and care we want them to feel. Bubble Wrap is available at iTunes, Amazon, CDBaby, and on erichermanmusic.com. SEE ERIC HERMAN AND THE THUNDER PUPPIES LIVE! Visit the Eric Herman's website HERE. Quick note, though, that the Portland show at the Clinton St. theater is July 2. Thank you for the information - I fixed it in the post. 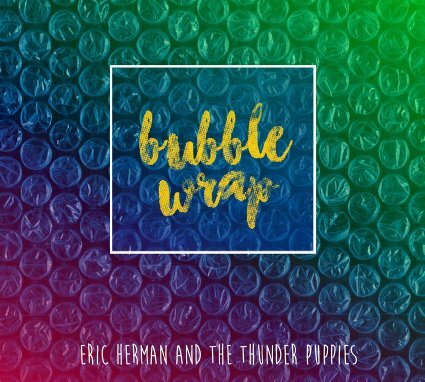 I learned that Bubble Wrap the first family album by Eric Herman and the Thunder Puppies. Eric and his family live in West Richland, WA, which is part of the 'Tri-Cities' area in southeastern Washington state. He grew up in Western New York and lived in the greater Buffalo area until 2004. There's also a full-length sketch comedy album available. I learned there has been over 1500 shows performed over the US. I learned that Eric Herman lives in the Pacific Northwest.